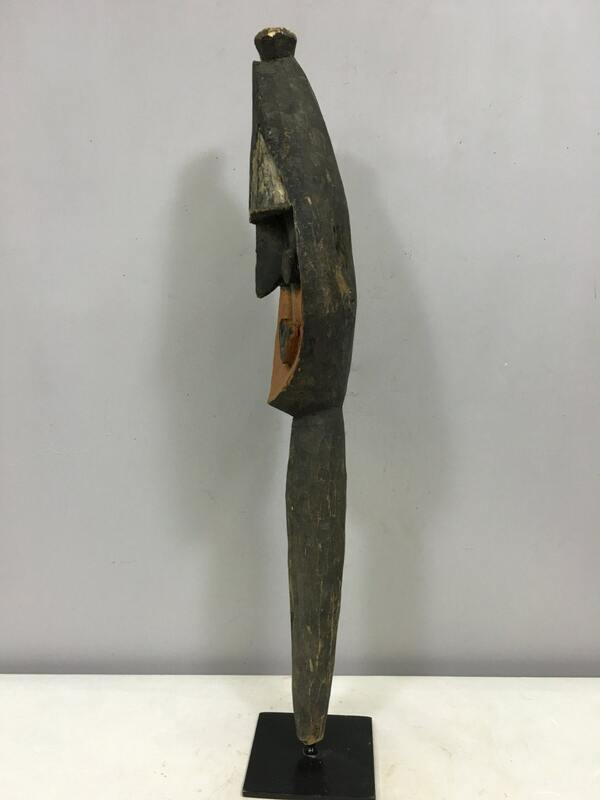 Papua New Guinea Yena Yam Spirit Statue Kwoma Tribe Yam Harvest Figure 28"
This is a beautiful Yena Yam Harvest Cult figure carved by the Kwoma tribal people of the East Sepik Province of Papua New Guinea. 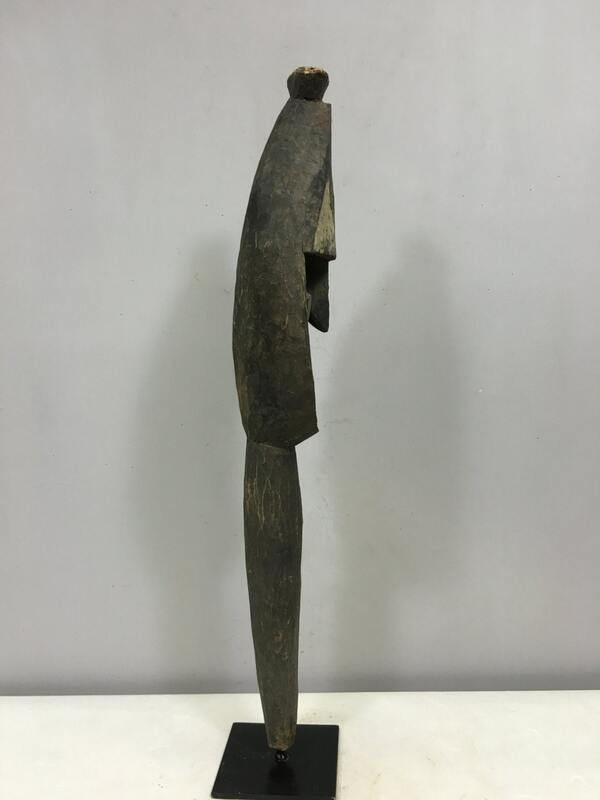 This Yena figure is carved out of wood with earth pigments of red white and ash. 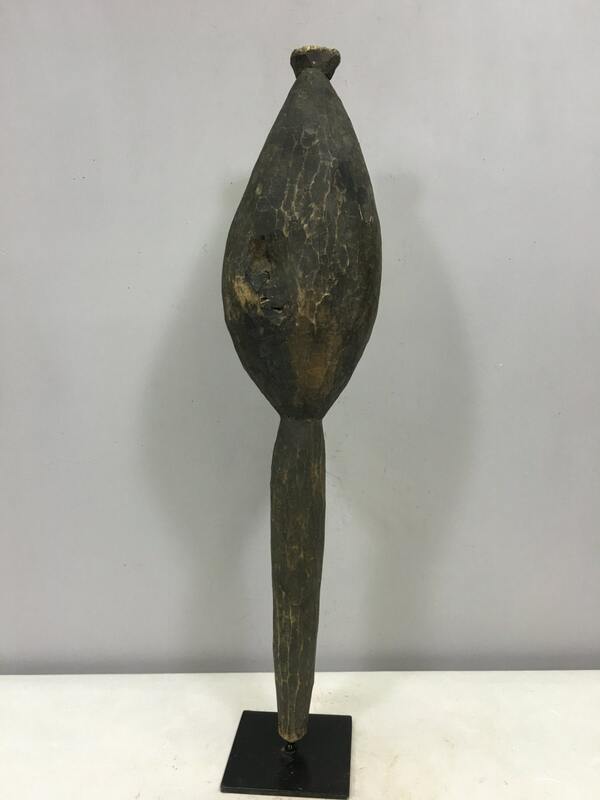 This culture share a unique art tradition associated with a religious cult centered on the cultivation of yams. A sequence of three rituals, called "yena," "minja," and "nokwi," each involving a different type of figure, is performed in honor of the yam harvest. 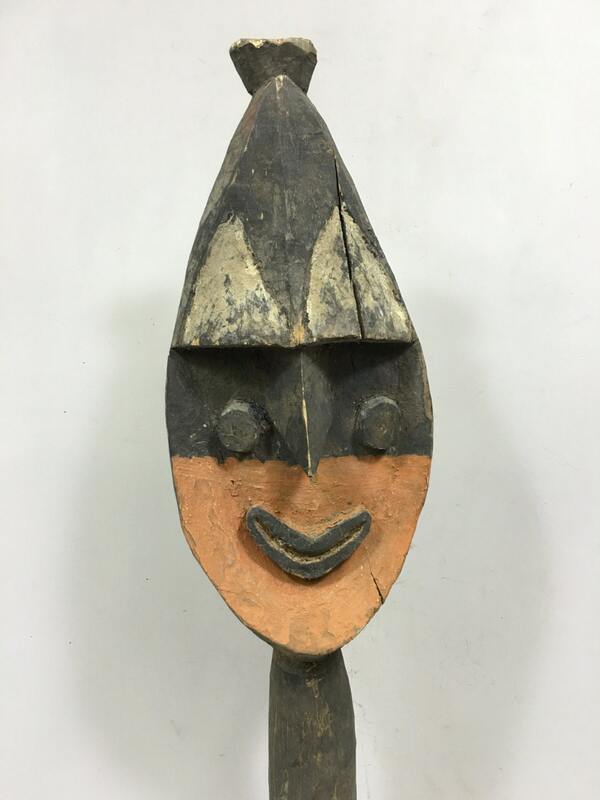 Carved wooden heads such as this one are created for yena, the first of these harvest rituals. The creation of prominent eyes and noses, yena heads represent ancient and powerful spirits. During the ritual, village men assemble a pile of yams within the ceremonial house. The stick like bases of the yena are inserted into the yam pile; in this case the yams were most likely attached to the spiky protrusions that resemble the back of a crocodile. The heads of such figures are decorated with brightly colored leaves, feathers, and other ornaments. The men then dance and sing to honor the yena spirits. At the conclusion of the ritual, the display is dismantled, the heads stored away, and preparations for the next ritual begin. 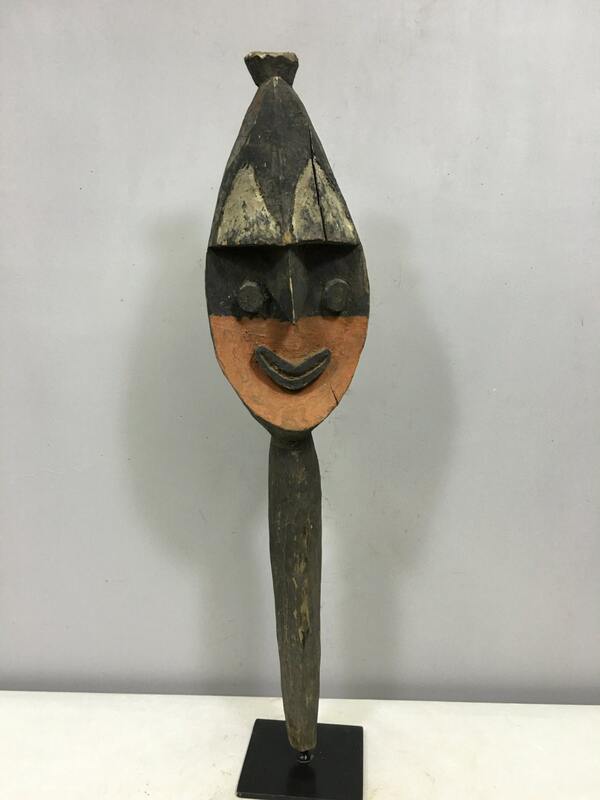 This is an amazing piece of Papua New Guinea Art that would be fabulous in your collection.